Alessandro Copia was born in Italy and started his musical education when he was four years old at the Suzuki Talent Center in Torino, Italy. 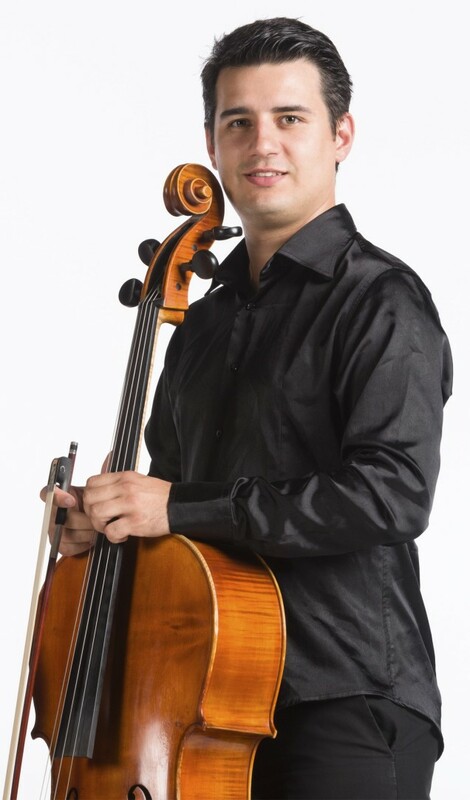 He graduated in Violoncello at the Conservatorio G.Verdi in Torino and attained a Master of Arts in Music Performance in Lugano, Switzerland. In 2009, he graduated in chamber music at the Accademia Nazionale di Santa Cecilia in Rome. Alessandro is presently studying with Rocco Filippini in Cremona – Italy and Robert Cohen in Lugano. Awarded with grants from Fondazione CRT, Torino and the Williamson Foundation for Music California, USA, he won many competitions, such as the first prize at the Citta’ di Giussano national competition, at the Isole Borromee international competition, at the Pontinvrea international competition and in 2005, he received first prize at the Dino Caravita competition, achieving the Dino Caravita prize as “best cellist”. Alessandro has a busy artistic schedule giving concerts in Haverhill (GB), Milano, Venezia, Trieste, Udine, Lugano and Torino for the Dino Ciani Association with a particular emphasis on chamber music, playing together with artists such as L. Marzadori, M. Montore, F.Dego, B. Giuranna and S. Accardo, also giving concerts for Accademia Nazionale di Santa Cecilia, the Walter Stauffer Academy of Cremona, the European String Teacher Association, the Rome Chamber Music Festival and A.gi.mus in Rome. Recently, Alessandro played as soloist with the Aloisiana Youth Orchestra, with the Conservatorio G.Verdi Youth String Orchestra in Mulhouse, France, with the Conservatorio della Svizzera Italiana Orchestra in Lugano and with the F.J.Haydn Chamber Orchestra in Legnano. He is now collaborating with the Orchestra Filarmonica di Torino, the Teatro Regio Torino Orchestra, the Orchestra Sinfonica Nazionale della Rai in Torino, the Royal Liverpool Philarmonic Orchestra in Liverpool and, from 2008, is the Principal Cello of the Fondazione Crt Chamber Orchestra in Torino playing under direction of conductors such as R.Muti, R. Chailly and P.Berman. From 2012 is member with of the Trio Kanon by wich is studying with the “Trio di Parma” at the “Trio di Trieste’s School” in Duino.